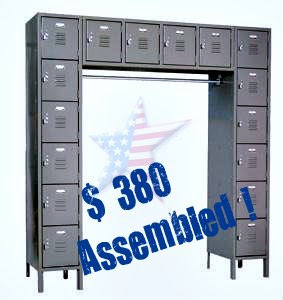 Homeland Manufacturing, Inc > 16 Person Box Lockers, $380 Assembled. 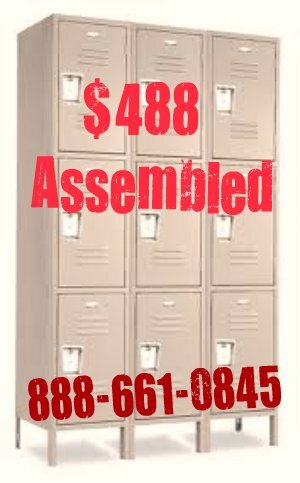 16 Person Box Lockers, $380 Assembled. You Really Don't Want to Assemble Employee Lockers, Do YOU ? Employee Box lockers are Economical. 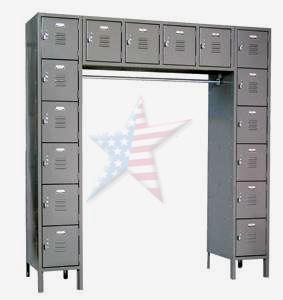 These Box Lockers are Designed for Secure Locker Storage and have a Coat Rack for Hanging Belongings. 16 total compartments! Each compartment is 12" wide, 18"deep, and 12"high. ( overall width is 72 “). All are vented, lockable handles (locks sold separately), and the unit has a convenient coat rack. Gray or tan ships in 3 days KD. Allow 5-6 weeks for designer colors. Ships in 3 cartons per unit assembled. Assembled or Not, Same WholeSale Price !